Update (6 July 2014) A much shorter version of this post appears in the July edition of the LMS newsletter, along with a further opinion from Trevor Jarvis (Hull). In April, the newsletter of the London Mathematical Society published my piece “Should mathematicians cooperate with GCHQ?”, which mostly consisted of factual statements based on the Snowden leaks, followed by the mild opinion that as individuals and institutions, we can choose whether to give GCHQ our cooperation. Two mathematicians associated with GCHQ, Richard Pinch and Malcolm MacCallum, have now replied. I will address their points, then make some suggestions for mathematics departments in the post-Snowden era. Collect it all. Sniff it all. Process it all. Know it all. Partner it all. Exploit it all. Fortunately, no one needs to trust them, or me, because we now have plentiful documentary evidence of what GCHQ and its partners are doing. So we can simply test claims against the evidence. For example, on the one hand, Pinch quotes GCHQ director Iain Lobban’s claim that if his staff “were asked to snoop, I would not have the workforce. They would leave the building.” On the other, GCHQ’s own documents detail how it surreptitiously harvested webcam images from millions of ordinary people suspected of no crime, using a system that “does not select but simply collects in bulk.” The documents note how many of the secretly captured images are sexually explicit. If that is not “snooping”, what is? Although neither Pinch nor MacCallum disputes any factual statement that I made, MacCallum does dispute one I didn’t make, writing: “Both GCHQ and its mathematics staff will be amused by the accusation that mathematicians there have little idea how their work will be used.” In fact, I said “mathematicians working for GCHQ may have little idea …”, and I stand by that: first, for the reason that MacCallum immediately concedes — that information-sharing within GCHQ is limited by “need to know” — and second, based on conversations with mathematicians who have worked for GCHQ over sabbaticals or summers. Some of those mathematicians now regret ever having been involved, having had no idea that they were working for an agency of mass surveillance. We all want spies to spy on known or suspected terrorists. We all agree that the secret services must have secrets. We all support targeted surveillance, under careful legal constraints. But what is at issue here is mass surveillance: the monitoring of everyone, all the time. Pinch and MacCallum blur that distinction. Thus, MacCallum cites the claim of MI5 head Andrew Parker that the intelligence agencies and police have disrupted many “plots towards terrorism”. But Parker did not say this was due to any mass surveillance programme; on the contrary, he added that almost all the plots came from a known pool of several thousand individuals. Even more tangentially, MacCallum notes the usefulness of phone billing records in criminal trials; but these are obtained from phone companies, not state surveillance of any kind. I think … there have been 34 plots towards terrorism that have been disrupted in this country, at all sizes and stages. … Of that 34, most of them, the vast majority, have been disrupted by active detection and intervention by the Agencies and the police. One or two of them, a small number, have failed because they just failed. The plans did not come together. I was pleased to hear, in the public session Richard Pinch’s response refers to, that 34 terrorist plots had been thwarted in recent years by the intelligence agencies. This is inaccurate in at least three respects. First, Parker’s words were “Agencies and the police”, not “intelligence agencies”. Perhaps many plots were disrupted by the police alone. Second, MacCallum forgets to subtract from the 34 the plots that failed of their own accord. Third and most importantly, Parker used the vague form of words “plots towards terrorism”, not “terrorist plots”. It is far from clear what he intended this phrase to encompass (“towards”? ), especially in a country where the looseness of the legal definition of terrorism has been a longstanding source of concern, and where anti-terrorism laws have been used to prevent everything from photographing the police to peaceful protest to heckling. Whether the true figure is 3 or 300 makes little difference to the argument, since the disruptions were not claimed to be due to mass surveillance anyway. But when MacCallum is so careless with simple, easily verifiable facts, why should we trust those of his claims that are unverifiable? If mass surveillance was known to be an effective tool for preventing terrorism, we could debate whether it was a price worth paying. But the intelligence agencies have been unable to point to success stories so far. In a US court ruling, federal judge Richard Leon noted the “utter lack of evidence that a terrorist attack has been prevented” by the NSA’s bulk data collection (despite the government having been able to submit classified evidence to him). And a CIA report on 9/11 concluded that the agencies had enough information to prevent the attacks, but failed to use it effectively. At the heart of this discussion is trust. 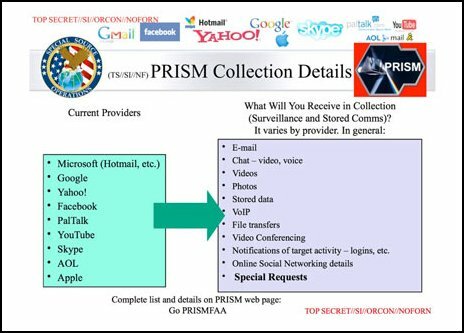 Through systematically monitoring our phone calls, emails, web browsing, location, and so on, the world’s most powerful intelligence agencies hold intimate personal information on much of the population. They have almost limitless power to spy on us. Do we trust them to use that power responsibly? GCHQ insiders such as MacCallum and Pinch presumably do. They might say that the agencies work hard to prevent terrorism, and are not interested in the mundane details of your life. But between those extremes, there is a large grey area — the area where activism, protest and civil disobedience lie, the area where powers are most likely to be abused. There is strong evidence that when surveillance powers are exercised in secret, abuse is inevitable: from the FBI recording Martin Luther King’s extramarital affairs and attempting to incite him to suicide over it, to present-day GCHQ undermining the online activism of people not suspected of any crime, to the NSA gathering the pornographic web-browsing habits of Muslims who it explicitly notes are not terrorists. Via GCHQ and NSA bulk collection programmes, agency analysts can access almost anyone’s email. Inevitably, this power has been abused too, with analysts exploiting it to read the mail of their own ex-partners and even Bill Clinton. Perhaps the secret services could be restrained from abusing their powers if there were a really strong external body enforcing strict rules. Insiders such as Pinch and MacCallum may perceive the existing oversight of GCHQ as strict, but few outsiders do. For example, the GCHQ oversight system was recently excoriated by a parliamentary committee as “not fit for purpose” and “embarrassing”. Even GCHQ’s own documents show it using its lax oversight as a selling point to the NSA. According to a senior GCHQ lawyer, “we have a light oversight regime compared with the US” — where for context, the NSA is regulated by a secret court at which only the agencies’ side of the case is represented, without opposition, and which rejects just 1 in 3000 of the NSA’s surveillance requests. Neither MacCallum nor Pinch addresses anything we have learned from the Snowden documents; they appear to be forbidden to join the conversation that the rest of the world is having. GCHQ routinely refuses to discuss matters of clear public interest that have been all over the news for the last year. Even the NSA is more open, being obliged to submit to genuine adversarial questioning at senate hearings. For instance, it was at one such hearing that the NSA chief conceded that the number of terrorist plots thwarted by bulk surveillance was not 54, as repeatedly claimed, but at most one or two (his best example being a man found giving an alleged terrorist group $8500). On both sides of the Atlantic, senior politicians on national security committees have complained that they were never even informed of the existence of the mass surveillance programmes, let alone authorizing them. We are not in democratic control. Heads of mathematics departments would probably like to “stay out of politics”. This is wishing for the impossible. It is illogical to maintain that dissenting from cooperation with GCHQ is a political act, but assenting is not. A head of department who runs a working relationship with GCHQ is engaged in a political act just as surely as one who declines. The very least HoDs can do is to consult openly with their departments. The risks of not doing so have recently been illustrated in London, where Imperial, King’s and UCL have set up joint postdoctoral positions with GCHQ’s Heilbronn Institute. In at least one case, this was done without consulting the department about the ethical implications, causing later resentment and anger. GCHQ may want to normalize the presence of its employees within the academic community, but not all of our community accepts this. It is no longer realistic for HoDs to treat GCHQ as if it was just another partner. Schools of medicine and psychology must routinely assess the ethical risks of their work. Perhaps it is time for mathematics departments to draw up their own ethical policies. Mathematicians have always had to navigate difficult ethical territory, from ancient military applications to the role of quants in the banking crash. But now that we have detailed documentary evidence of what kind of activities we are supporting when we collaborate with the secret services, we can use it to have a properly evidence-based discussion. Instead of seeking refuge in the comforting myth of political neutrality, we should take responsibility for our actions. now AG Holder wants to focus on ‘domestic terrorists’. Maybe they wanted to go there since they started this. I am surprised by MacCallum’s assertion “I see GCHQ’s work as stopping innocent people being killed and putting guilty people in gaol” and then referring to carjackings. Is GCHQ part of the police? 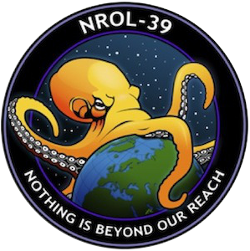 I don’t know how it works in the UK but the NSA is definitely part of the Defense apparatus and that’s very central to the controversy. It is certainly in the purview of these agencies to snoop on Putin but not, as far as I understand, on PETA, regardless of one’s opinion of the latter. You’re right, MacCallum’s bit about knife-wielding carjackers seems entirely irrelevant. Phone billing records used in court cases are obtained from phone companies, not GCHQ. If the phone records in this trial had been obtained from GCHQ mass surveillance, then that would be a huge news story (as well as bizarre; why not just order the phone company to hand the records over?). If not, the whole carjacking story has nothing to do with GCHQ. No, GCHQ is not part of the police (though I’m sure the police, GCHQ, MI5 and MI6 work together on some things). Whether GCHQ is forbidden from surveilling British citizens in the same way that the NSA is supposedly forbidden from surveilling US citizens, I don’t know; often the US seems to have clearer written laws than we do (e.g. a written constitution). In any case, these laws seem to be easily circumvented by the information-sharing that goes on between the US, UK, Israeli, etc., secret services. It’s carefully put together; I was pleasantly surprised not to hear any inaccuracies (at least on first listen). But it’s also pretty bland — the BBC mostly seems to avoid actually discussing anything we’ve learned from the Snowden documents. Ironically, Pinch makes the (valid) point that any discussion of this should be based on the facts; but it’s Pinch and MacCallum who are writing articles mentioning none of the facts that the leaked documents reveal — as if those leaks never happened. The Guardian ran an article yesterday where Vodaphone disclosed that government agencies, and presumably GCHQ amongst them have direct access to their telephony. “These pipes exist. The direct access model exist…We’re making a call to end direct access as a means of government agencies obtaining people’s communication data. Without an official warrant, there is no external visibility. If we receive a demand we can push back against the agency. The fact that a government has to issue a piece of paper is an important constraint on how powers are used’. I think that this is heartening - especially coming from such a major corporate provider of telephony services; (I don’t know whether they are involved in the internet as a provider of services - but I guess that is likely given what people are talking about ‘media convergence’). I hardly now anything about telephony; but I assume one parts of their service, if not all, encryption is likely to be used; and presumably some services are routed through the internet - say, like using Skype on iPads. They’re (Vodaphone) also arguing that all states should publish figures on what is monitored - both meta-data & content snooping. That would also work as a kind of constraint on such surveillance - or so one would hope; and unlike the meta-data collected on us, it wouldn’t reveal enough information to compromise legitimate operations. I’ve just submitted a much shorter version of this post for publication in the LMS newsletter. Let’s see whether they let me have another bite at the cherry. It’s not the greatest way to have a discussion like this, what with a time-lag of months… it’s like playing chess by post. But in British mathematical circles, the newsletter is fairly widely read. You may be amused to learn that my son in Paris was given the task of summarizing that very BBC broadcast as training for an upcoming exam. English-language teachers around the world now know that some British mathematicians are concerned about how their work is used for surveillance. I am amused! It’s a shame the report isn’t more interesting, but I guess the idea was to personalize it by concentrating on the London number theory scene. The trouble is, there doesn’t seem very much to say about that: one or two people who refuse to speak to Richard Pinch, and a couple more who feel vaguely uncomfortable about the whole situation; and that seems to be roughly it. The current issue of the Notices of the AMS carries an article entitled Mathematicians Discuss the Snowden Revelations. It’s introduced and edited by Michael Harris and Notices deputy editor Allyn Jackson, and contains opinion pieces by Keith Devlin (Stanford) and Andrew Odlyzko (Minnesota). Both Devlin and Odlyzko have expertise in the area. Both are critical of the NSA. The introduction points out that the editors hadn’t managed to find anyone to take an opposite viewpoint (though Odlyzko is more ambivalent than Devlin), which is something we’ve discussed here before. Just as a data-point regarding “ethics of research” in other fields, having been involved in some of this I think it’s a bit of a tricky comparison. There’s a very strong framework to consider the ethical implications of interactions with test subjects, and for doctors involved in “research treatments” there’s a framework for considering the therapeutic side of the patient as well, along with a general “are the total negatives of the experimental process justified by the possible results?”. However, there’s very little to do with what others might use that research for after it has been performed. (Of course, ethical constraints on interactions with test subjects does partly restrict what could be done with the work after it has been completed, since some things can’t be effectively researched.) The closest I can think of is biochemistry/genomics departments not publishing genomes for diseases. But this is the ethical issue that pertains to mathematicians working for the surveillance services, so I suspect you’ll be breaking new ground here. That’s definitely an interesting point. But as well as the differences you point out, I do think there are some commonalities with established practice. People in some subjects — say, experimental psychologists who do experiments on mice — see it as a routine part of life that they have to go through some ethics process. This reflects the fact that what they do has real-world impact (in this case, possible pain or distress to mice). Similarly, I’d like mathematicians to routinely assess the real-world impact of what they’re doing. I’d like that to be embedded in the culture and administrative structure of universities. Because math is usually so far removed from anything you’d usually call the “real world”, (i) we’re not used to doing this, and (ii) it would be a very light burden compared to that borne by academics in many other subjects. As it happens, my own university (Edinburgh) has an ethical investment policy, and last year cancelled £1.2 million of investment in a company that made parts for US military drones. As it’s an ethical investment policy, it doesn’t bear directly on what we’re talking about here. But it’s in the same kind of direction. Glenn Greenwald, How covert agents infiltrate the internet to manipulate, deceive, and destroy reputations. Controversial GCHQ Unit Engaged in Domestic Law Enforcement, Online Propaganda, Psychology Research. Glenn Greenwald and Andrew Fishman, The Intercept, 22 June 2015. They quote an internal GCHQ report including ‘detailed discussions of how to foster “obedience” and “conformity”’. 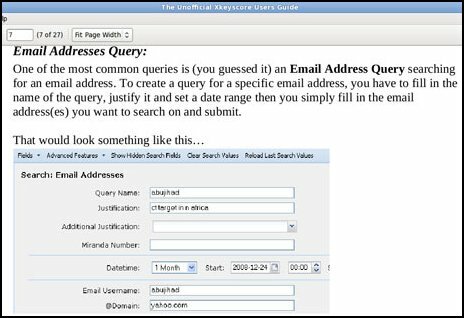 They also reproduce a long list of GCHQ tricks, such as spoofing emails and websites, denying internet service, and “deceiving” customers and vendors at online stores. 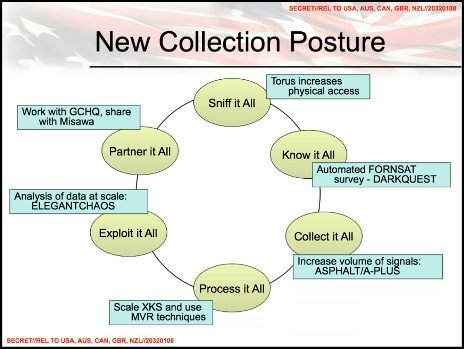 While you might think this is what you’d expect of a lavishly-funded modern spy agency, the worrying question is who GCHQ targets with this arsenal. Is it anyone who displays what some official believes to be insufficient “obedience” and “conformity”? Probably. The technique seems reminiscent of the Stasi method of Zersetzung that we disucssed here. I am not implying that the GCHQ is similar to the Stasi in other ways. Just that this particular technique looks familiar.